Okay, Google, show me the good deals. If Google Assistant is your smart home assistant of choice, Black Friday is the day to put it in every room of your house. 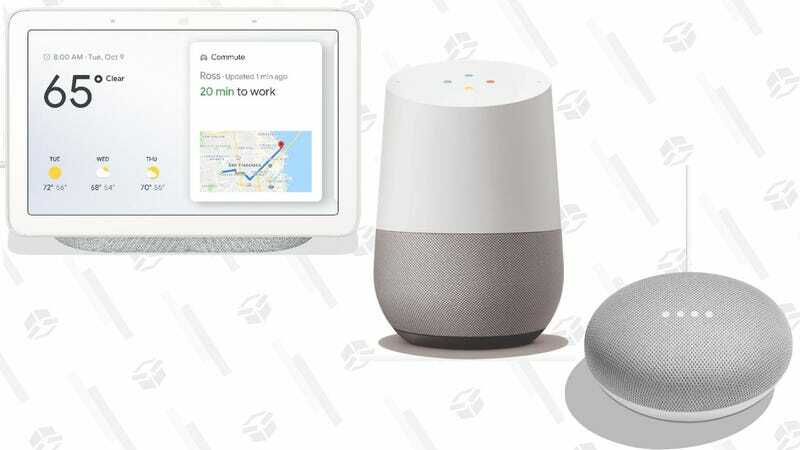 The Google Home Mini is down to $25 in every color, the Google Home is just $79, and the Google Home Hub is just $99, with a $10 VUDU movie credit. And in case you missed it earlier, you can also bundle a Google Home Mini, a Chromecast, and a $15 VUDU credit for $45. More of an Alexa fan? Here are today’s Echo deals.